Go here for Marc Carlson's drawings of these garments. 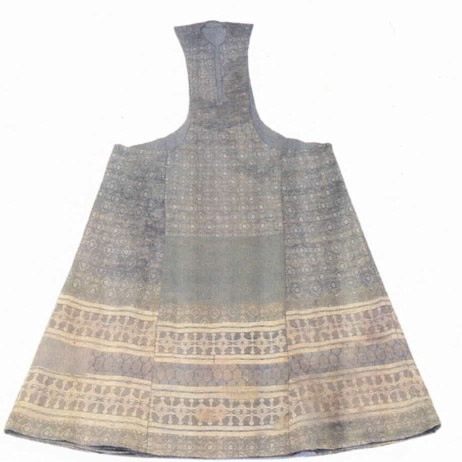 Go here for Maura Folsom's drawings of these garments. 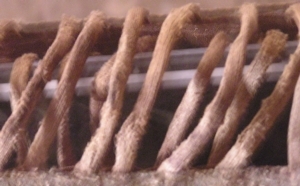 Close inspection at the museum shows that there is a "tape" attached to the underside of the opening. This is fastened down at regular intervals, and through this the laces are threaded.